ALEX: Don’t worry about it. 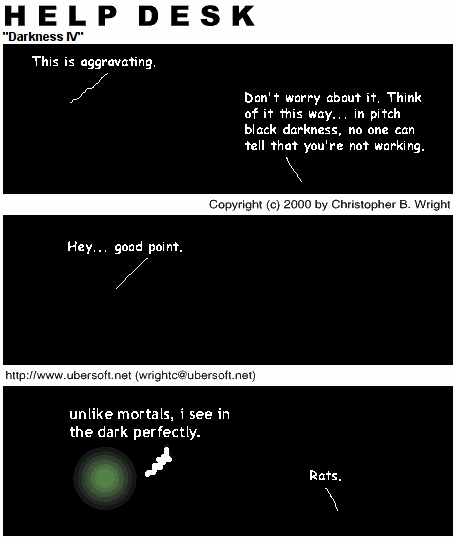 Think of it this way… in pitch black darkness, no one can tell that you’re not working. BOSS: Unlike mortals, I see in the dark perfectly.